Combination machine that will serve a cooked hot dog as well as a warm roll. Festive addition to carnival or fair themed event, hot dog bars or service at cookouts. 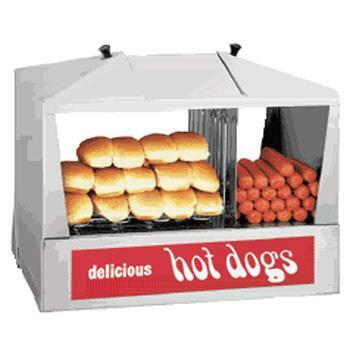 * Please call us with any questions about our hot dog steamer rental in Baltimore Metro area.